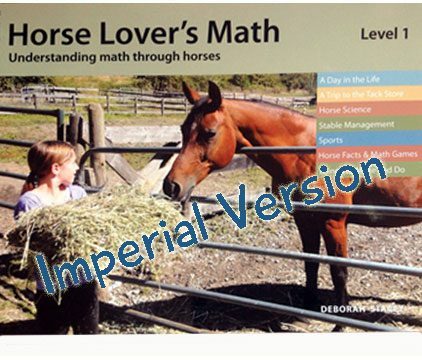 This 175 page math workbook is richly illustrated with photographs and hand drawn illustrations. 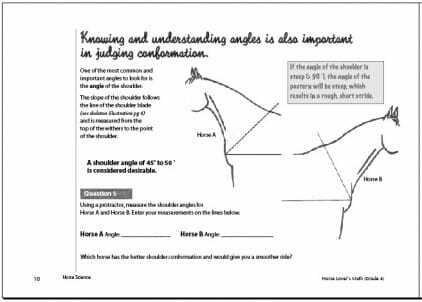 The coil bound, softcover opens flat, making it easy for kids to make calculations, measure angles and follow instructions in the Things to Make and Do section. 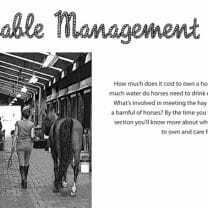 The workbook is comprised of seven sections: A Day in the Life, A Trip to the Tack Store, Horse Science, Stable Management, Sports, Horse Facts and Math Games and Things to Make and Do. 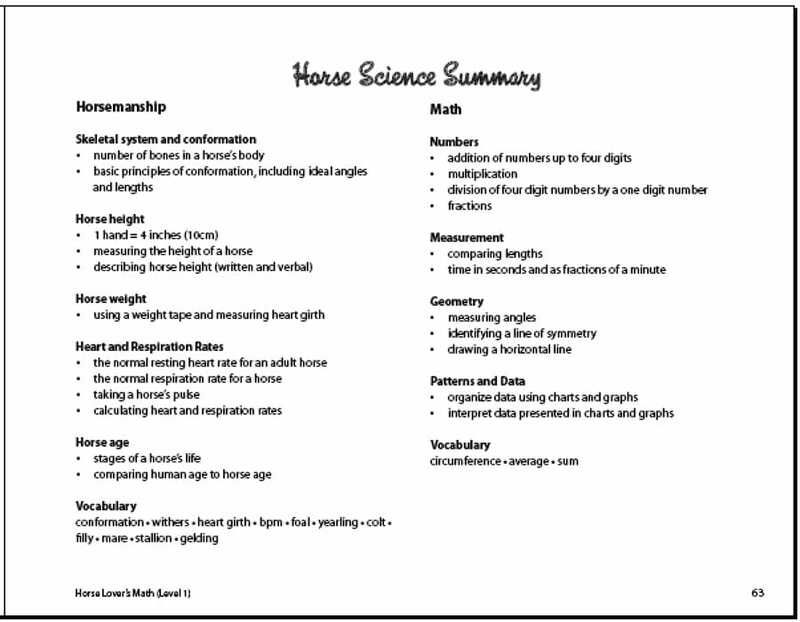 A summary page appears at the end of each section listing both the information about horses and the math used in the section. 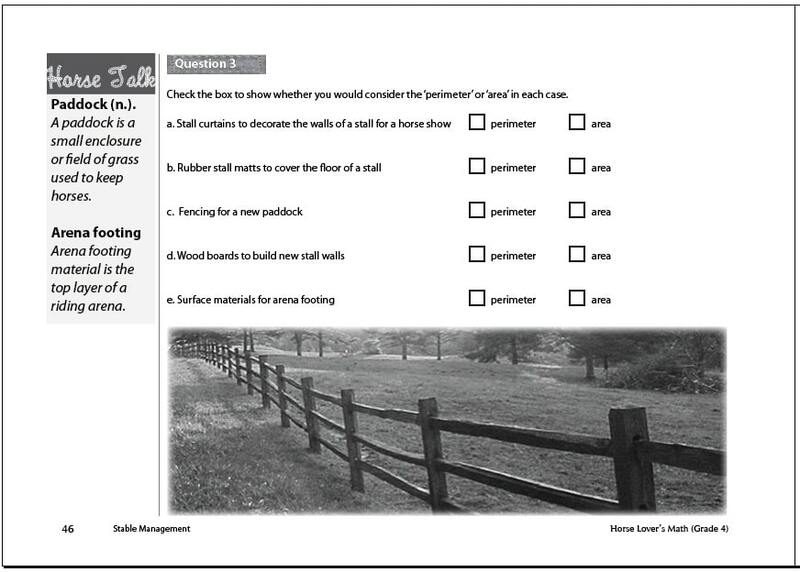 An Answers section allows kids to check their answers as they go. 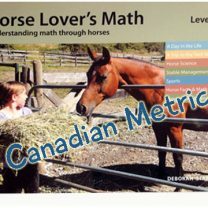 Elapsed time, 24-hour time, money, measurement, fractions, patterns and graphs, angles, and more—its all part of the real-world of horses and its all here in the Level 1 workbook. Amy – My daughter loves this book. 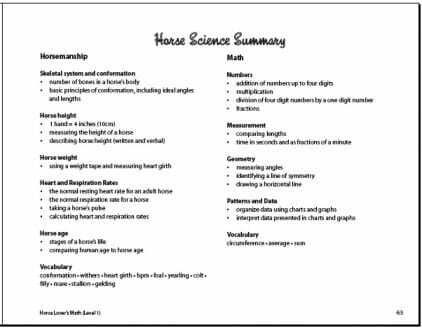 We home school and it fits into the rest of her curriculum of horses. 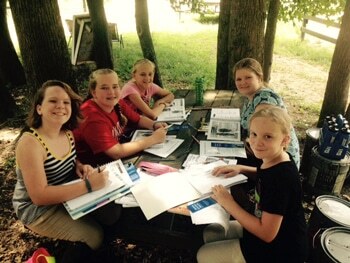 She is studying Beautiful Feet History of the horse. Please let me know about workbook 2 and 3. 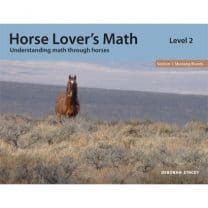 Another homeschooling family here that loves the Horse Lover’s Math Workbook. 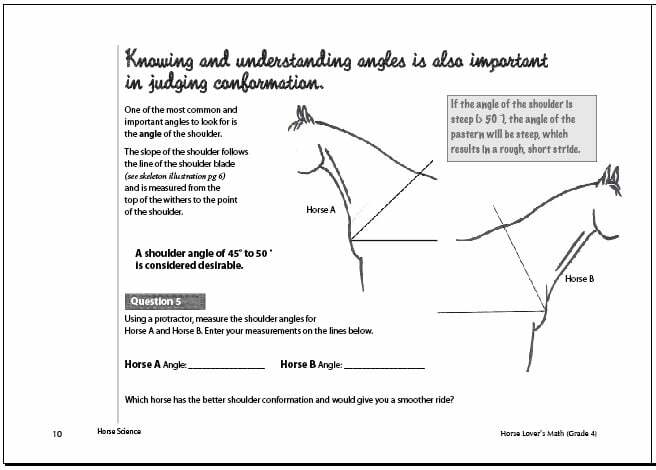 We use these workbooks as a fun assignment when my kiddo needs a break from the “boring” math program we use on a regular basis. We are looking forward to future levels. Thank you ? 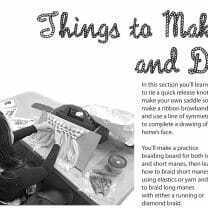 As a homeschooler, these online resources are so helpful. 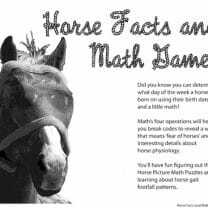 My daughter is horse crazy but not so maths crazy and she is loving this. There has obviously been considerable time and energy put into developing this and it is absolutely value for money. 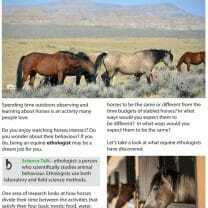 Highly recommended ?